Not one, not two but three cinema venues in New Mills ! Home » Cinema » Not one, not two but three cinema venues in New Mills ! Over the next few days we will check each of them out so you can get an idea of what yo might see – first we will start off with Spring Bank Arts. Screening 2 films every month, on the 2nd and 4th Thursday, a chance to see a “mystery” film at your local cinema – Spring Bank Arts, Spring Bank, New Mills, SK22 4BH. With a licenced bar that opens at 7pm and films starting at 7.30pm for a suggested donation of just £4, come along and be part of the experience. 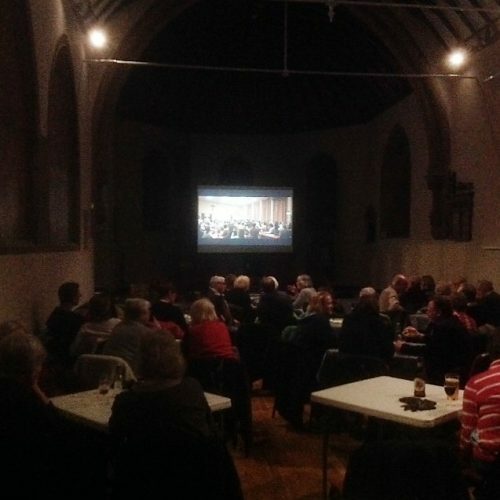 Will there be a film night for February.